They may be brothers, but Arthur and Alex Chua took on very different paths in life. Younger brother Arthur, 36, is the CEO of their family business, Goldbell Group. He joined the company in 2007 right after graduation. Without any relevant experience, his father (the CEO) thought it’d be best if he learnt from the ground up. He got his hands dirty as a technician in a lorry workshop, and progressively moved up the ranks to be the General Manager. He only took over the CEO role when his father stepped down in 2012. 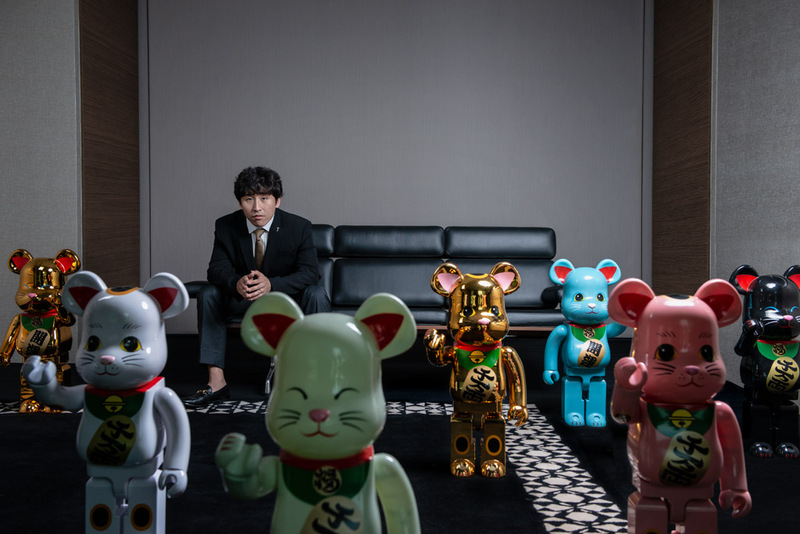 When he started as an Operations Executive, his salary was less than $2,000. The distinction between work and family was so apparent that while his father took the company car to work, he had to take 3 buses to get to their workshop in Tuas. He even had to wake up as early as 5am in order to get to work on time. Meanwhile, older brother Alex, 38, is a high-flying banker who left home at 21 to pursue his ambitions overseas. He worked with JPMorgan Chase in Hong Kong, where he was head of equity derivatives, retail structured products distribution in Southeast Asia for 8 years before finally joining Goldbell in 2012. He had shunned from joining the family business for nearly 10 years in a bid to assert his independence; but it was during a family gathering when he realised that both his father and brother shared a “common lingo” between them. “It dawned on me that the company is my dad’s life work and I should do my part to understand it more. So I decided to leave my corporate life and [return to Singapore] to join the business,” he said. 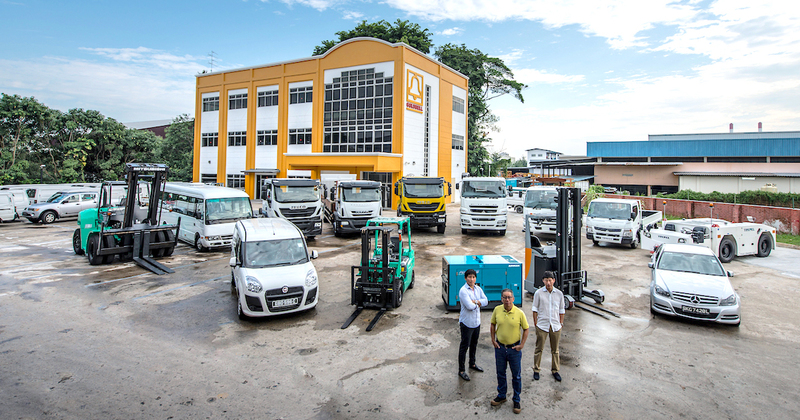 Goldbell Group, which their father William and late grandfather, Chua Kim Cheng, founded in 1980, is Singapore’s largest commercial vehicles and industrial equipment distribution and leasing company. Their father was listed as Singapore’s top 50 richest back in 2016 with a net worth of $455 million, and currently heads the company as chairman. 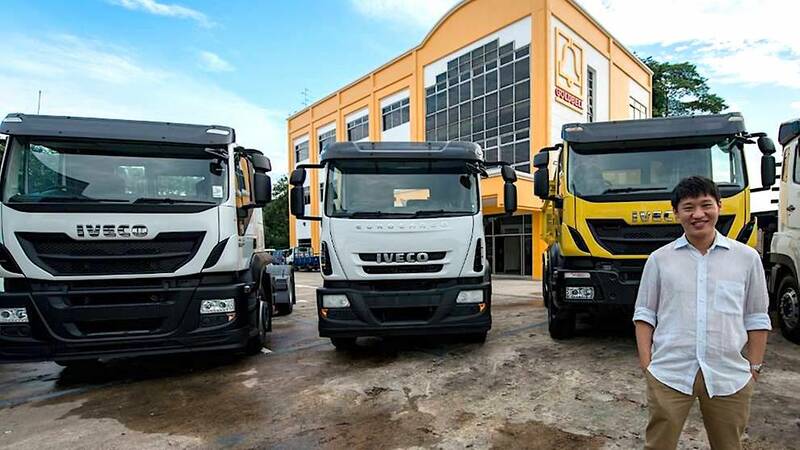 Goldbell owns a fleet of over 7,500 trucks, vans, cars, buses and forklifts, which it rents to businesses like transport firms and logistics startups. “We started by distributing forklifts, trucks, GPUs (ground power units), and air start units. This eventually grew to the entire range of light, medium and heavy industrial vehicles for all industries,” said Arthur. The company later expanded into leasing in 1990 to provide an option for customers who did not want to purchase their vehicles. “We now have 50 to 60 per cent market share of the commercial vehicle leasing business in Singapore. We lease more than 1,600 cars for long-term rental of about 2 to 3 years for limousine service, airport transfers, et cetera”. Now, it has a diversified business portfolio that operates under three main business pillars: distribution, leasing, and financial services. “We provide customers with services they need to run their business, [which] impacts the day-to-day lives of Singaporeans,” said Arthur. For example, when you buy things from Lazada, Qoo10, Redmart, or receive any deliveries from SingPost or Ninja Van, it would have been delivered to you by a Goldbell vehicle. When Arthur first joined the company, he was the youngest and least inexperienced. But he earned a lot of respect from the “old hands” because he worked from the ground up. I had to persuade people to teach me and I would buy them kopi to get them to not only teach me the ropes and their problem-solving skills, but to also open up and share their work problems and challenges with me. You really learn from talking to people. It was a different tune for Alex when he joined the company. Going from a big international bank to a family business was a drastic change. He needed to adjust himself to the different pace of work and communication style, but having his brother as a mentor definitely helped to ease the transition. According to Alex, Goldbell employees are much more humble and less expressive, so he had to rewire himself and learn to listen. He also confessed that he didn’t even have a clue about the business’ full spectrum of services, other than the fact that it deals with trucks and forklifts. Because of that, he was sent to the marketing department, where he “couldn’t cause much harm“. This also meant a 70 per cent pay cut for him. “It was a different challenge from derivatives and I had to learn everything from scratch, including all the technical terms,” said Alex. Despite the steep learning curve, I found it in many ways more satisfying from what I used to do, as we are dealing with real businesses and helping brick-and-mortar businesses grow. The fact that it’s his family business, yet he had no idea on how to contribute to the company’s bottomline bothers him. He wanted to “find [his] value-add” so he worked hard to learn the ins and outs of the business for the past five years. Now that he’s found a solid footing in the company, Alex is overseeing the company’s processes as the Chief Operating Officer. He actually spent the last three years and a whopping $4 million overhauling the company’s IT system to gather and analyse big data. Despite the hefty price tag, Alex insists that it’s a viable investment because business data can help them better understand the company’s processes and customer needs. For instance, their intelligence system can help the company figure out why their trucks are delayed in the workshop. This delay can negatively impact their clients’ businesses, but bridging gaps like these can help them save a significant amount of money in the long run. “The hardest part was to convince management to embrace a change that had no bottom line and that the $4 million price tag was not a waste of money,” he said. In 2015, Alex also set up a new financial services arm, Goldbell Financial Services, which has become one of the largest non-bank financial institutions in Singapore. Goldbell does not only offer loans for equipment, but it also offers loans for working capital, commercial property and factoring. 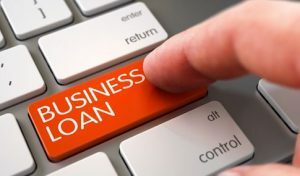 “Today, we offer a whole range of financing solutions to customers who are under-banked, particularly SMEs who struggle to secure loans from banks. We look at risk differently and do not constrain ourselves to just looking at the company’s profits and losses, but instead look deeper into the business operations,” said Alex. The advantage of being smaller, nimbler, and more flexible, is that we can structure our products to meet the different needs of these companies. We see ourselves as complementing the banks, helping businesses grow to a stage where banks are comfortable lending to them. To date, its loan book has grown by three times and they have served almost 2,000 clients. It has since expanded to Malaysia, and is eyeing Australia as well. Meanwhile, Arthur is spearheading their Future Mobility division, which focuses on innovation and technology in transport. It tackles the three biggest trends in transport today: the sharing economy, electric vehicles, and autonomous vehicles. Goldbell is looking at electrifying its fleet of vehicles, which currently runs on diesel. As part of a $35 million investment, Goldbell is opening a new automated, multi-storey flagship facility by 2019 to house its workshop and after-sales care services under one roof. This new robotics-enabled workshop will come with specifications for sufficient power supply to charge vehicles. Additionally, Goldbell has also launched autonomous forklifts, which can go a lot higher than traditional forklifts. Alex added that Goldbell is always trying to do more in an attempt to “grow with its customers”. “We want to have as many touch points as possible. If we do one thing for our customer, we’ll be dispensable. But if we do 10 things for them, we won’t be,” Alex told The Business Times. According to Arthur, many entrepreneurs today rush to start a business, but they also exit quickly. This is definitely not the case for Goldbell, which has been around for almost 40 years. Don’t start a business just to cash out. Think about creating a business for the long-term instead. Moreover, Goldbell is built on their father’s and late grandfather’s hard work, so the brothers feel it’s only right if they preserve the family business. 810 employees’ rice bowls are also resting on their shoulders. On the other hand, Alex advised that entrepreneurs should continually focus on making their businesses better instead of hankering over the ‘new’ and ‘cool’. If you have something good going on, work on it to make it better, day by day. While you need to be aware of and learn of the ‘new’ and ‘cool’ businesses, you should never [neglect or] discount the importance of domain experience. Although the Chua brothers run Goldbell’s daily operations, their father still comes to the office everyday to handle other business matters. “I speak to my dad whenever I have issues, or get his advice when I need a sounding board. He is always there when we need him. Furthermore, he has built an organisation of very learned and experienced staff who act as our mentors too,” said Alex. With regards to business expansion and opportunities, Arthur said that his father had advised him to not rush into things, but to strike hard instead when the right opportunity comes along. He told me that I can choose either to (a) look good by having flags of different countries planted on my company’s website, with little or none that are profitable; or (b) choose to focus only on a few markets, which if successful can be extremely profitable. In other words, focus on the right investments and you can turn your business profitable, he asserted. Besides Singapore, the company currently operates in Malaysia and Vietnam. The latter two markets in particular, has contributed 10 per cent to its overall revenue. They are not looking to further expand their footprint just yet, and is simply focusing on expanding in the South-East Asian markets they are already present in.